They provide exceptional services, education, outreach, and advocacy so that people living with autism and other disabilities can live, learn, work and play in our communities. Medi-Cal waiver services are geared toward specific populations and targeted groups based on need. For disabled individuals requiring Home and Community-Based Services, there may be services available for such target populations as the elderly, developmentally disabled, or Medi-Cal beneficiaries with mid- to late- stage AIDS, or who require assisted living. Comprehensive services, including diagnostic evaluation, complete nutritional assessment, long-term management, recommendations for treatment and genetic counseling of children and adults with suspected or diagnosed inborn errors of metabolism. Their mission is to enhance the quality of life for people with Down syndrome and their families through education, social and support programs. Office hours subject to change. Please call or email before stopping by to make sure someone is there to greet you. Down Syndrome Association of Riverside County West, a non-profit organization, was established in 2007 by families who recognized a need for support and resources in their community. The DSARCW serves children and adults with Down Syndrome and their families as a place to receive information and support. The DSARCW is affiliated with the National Down Syndrome Society and the National Down Syndrome Congress. The Down Syndrome Connection of the Bay Area consists of a group of caring individuals, educators, therapists and involved community members whose passion and commitment is to serve families who have members born with Down syndrome. Building Up Down Syndrome (BUDS) of the Redwoods welcomes you! We are an affiliate group of the National Down Syndrome Society. This site is for residents in and around the area who are living with the effects of Down syndrome in their lives, or anyone interested in support or information regarding Down syndrome. They will list opportunities available for you here at California's North Coast, as well as afford you the opportunity to communicate with others in the area about Down syndrome. They look forward to hearing from you! This site exists to celebrate the uniqueness of people with Down syndrome, and to offer support to new and expectant parents. Our goal is to help all families to share experience, advice and support during both joyous and difficult issues. Club 21 Learning and Resource Center is a non-profit 501(c)(3) organization whose mission is to support individuals with Down syndrome, their families, and communities so that those individuals may reach their potential and become fully included members of society. National Down Syndrome Coalition's mission is simply to demonstrate to society the positive impacts of Down syndrome with various forms of media, parent support groups, parent counseling, provision of resources, community outreach, and with the education and training of parents and professionals. Their vision is to see a changed society that is educated, aware and appreciates the positive differences that people with Down syndrome can bring. They envision that the inclusion of all people with Down syndrome would occur equally within every aspect of daily life from classrooms, to sports, to driving, to jobs, to marriage. They hope that you will develop a heart for our vision and want to join us in our mission to further the field for Down syndrome. DSIA has over 20 trained Parent Mentors to support families as they get a new diagnosis of Down syndrome for their newly born or expected child. New parents often have many concerns, ranging from what the future holds to what their child's immediate needs are. Parent Mentors reach out and provide support whenever and wherever needed, including at the hospital or later at the family's home. Parent Mentors receive specialized training in daylong workshops, and DSIA staff and volunteers coordinate with local hospitals, agencies, and families to ensure all families who want support receive it! Also, DSIA provides each new family our Down Comforter Package containing a parent guide and other useful information and resources. Call the 24-hour support line at 916-842-7175 or email: support@downsyndromeinfo.org to get the support of a Parent Mentor. DS Action consist of parents, grandparents, doctors, educators, registered nurses, social workers and other business professionals interested in improving the quality of life of all people with Down syndrome. DS Action holds monthly meetings in San Diego to identify the unmet needs of people with Down syndrome and to find creative solutions to meeting those needs. As an example, DS Action determined that many children with Down syndrome do not receive the same level of recommended medical and developmental care, and that parents often find it difficult to get referrals to a variety of available intervention services. To meet this need, DS Action worked to establish a Down Syndrome Center, where all children with Down syndrome would have an equal opportunity of receiving recommended evaluations, referrals and intervention services. Working with Rady Children”s Hospital – San Diego, DS Action has made this idea a reality. The Down Syndrome Center is a much needed resource to the entire region of Southern California as well as neighboring jurisdictions including Mexico. DS Action is affiliated with the National Down Syndrome Society(NDSS) and National Down Syndrome Congress(NDSC). SPIN is a non-profit parent-to-parent support and information network serving parents, guardians and families in Santa Cruz and San Benito Counties who have a child or children with special needs of any age. SPIN is a Family Empowerment Center on Disabilities. Click on the maps for enlargements and directions. 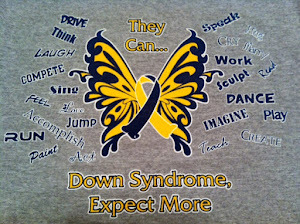 Our mission is to enhance the quality of life for people with Down syndrome and their families. We promote awareness, understanding and acceptance of Down syndrome in San Joaquin County through educational, social and support/connection groups. To promote advocacy, raise awareness, further educational pursuits, and support research for people with Down syndrome and their families.